Yesterday was a Monday and, for Albuquerque, cold! What better way to relax than with a hot bath at the end of the day? 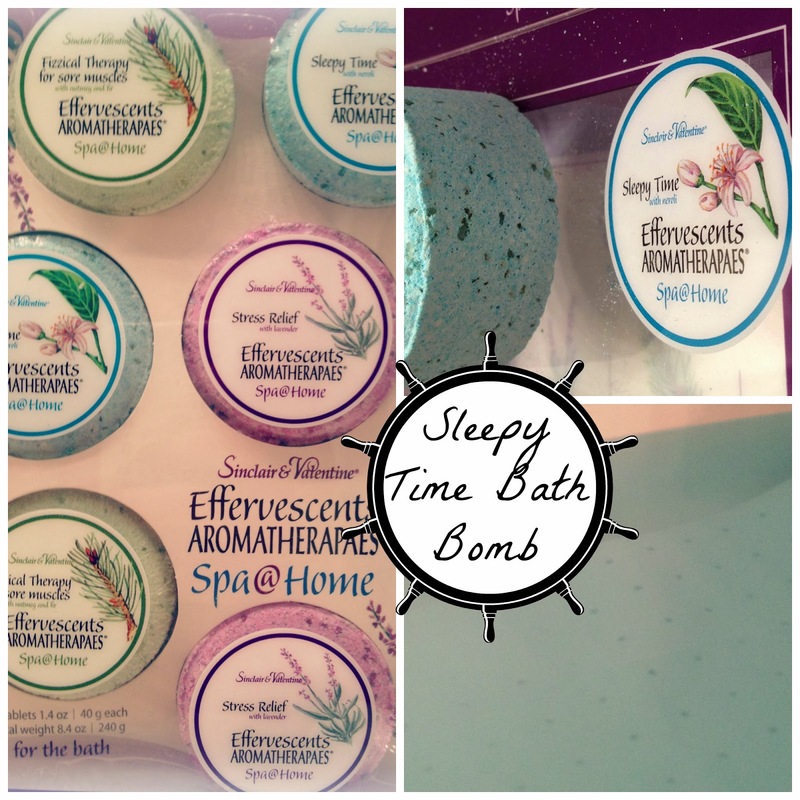 One of our bridal shower gifts was a set of bath bombs, so I picked out Sleepy Time and got ready to relax. According to the package Sleepy Time releases "skin softening conditioners and Neroli essential oil to help you get a good nights sleep." Neroli is considered to have a soothing effect on the nervous system, relieve tension and anxiety, and to increase circulation. I don't know if it did all of those things, but I certainly felt relaxed and sleepy afterward. Also it turned the water an awesome turquoise-blue color and smelled wonderful. Who doesn't want that? This particular package was by Sinclair & Valentine.